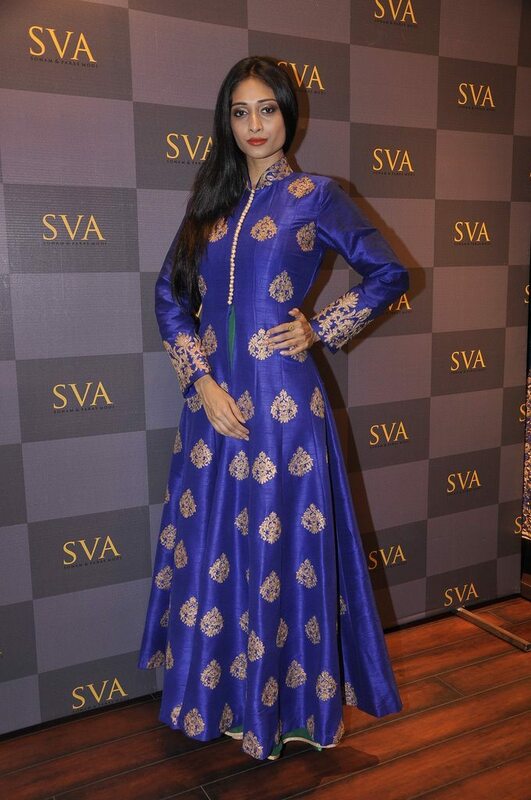 Sonam and Paras Modi SVA Signature Studio shows off its dazzling couture. 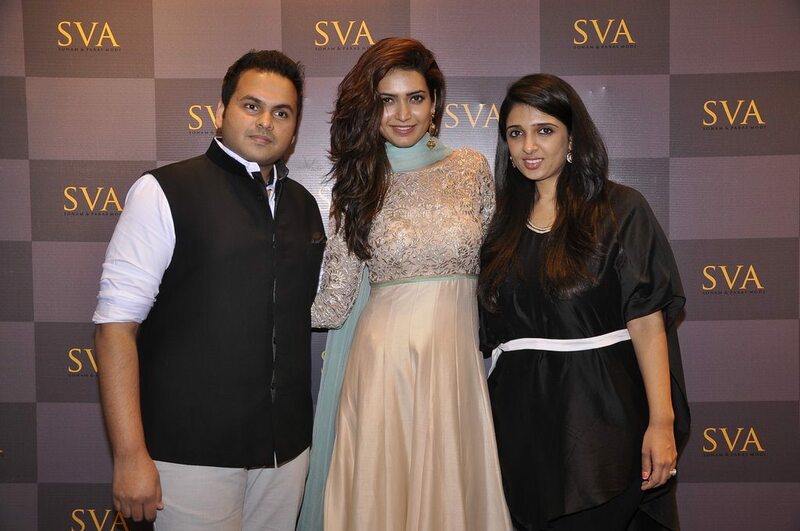 Bollywood celebrities Mandira Bedi, Neha Sharma and Karishma Tanna attended the Sonam and Paras Modi SVA Signature Studio launch event held on July 1, 2014. Elegant Indian wear seemed to dominate the mood of the evening, as all the three ladies stunned in beautiful anarkalis. Karishma’s sombre cream, gold and blue made for an elegant ensemble, while Mandira’s bright yellow matched the her feisty personality. Sonam and Paras are popular celebrity designers who have showcased their collections at many renowned fashion shows in the country. Actresses like Amrita Rao and Neha Dhupia have walked the ramp as showstoppers for the designers at various shows. The designers have also dressed actresses like Huma Qureshi, Madhuri Dixit and Prachi Desai.